Man Changing into Thunderbird VI of VI | Dreams are the poetic expression of the soul. Love these works especially more so as they have been recently relocated within the gallery; they are better displayed now. 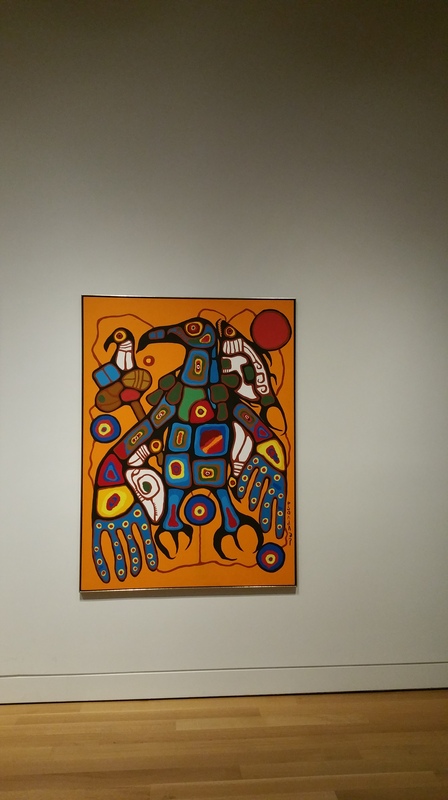 A true shaman of the first order, Norval Morrisseau. This entry was posted in 20th Century Art, 20th Century Artists, 20th century Canadian art, 20th century Canadian artists, Art, Art Collection, Artists, Award-winning artist, Canadian art, Canadian artists, Contemporary art, Contemporary Artists, Contemporary Canadian art, Contemporary Canadian Artists, Creative Genius, Dream Shamanism, First Nations Art, First Nations Artists, Indigenous Art, Michael Overleaves, Michael Teachings, Oil on canvas, Oil paintings, Ojibwe, Ojibwe art, Ojibwe Artists, Painters, Painting, Reincarnation, Shamanism, Visionaries and tagged 4th Level Old, Animism, Artists from greater cadre 7 of pod 414, Artists from pod 414, Metamorphosis, Michaelese, Norval Morrisseau, Old Soul Art, Old Soul Artisan Souls, Old soul artisans, Old soul artists, Old souls, Spiritual Evolution Depicted in Art, Spiritual Metamorphosis, Spiritualists, Spirituality, Thunderbird. Bookmark the permalink.